A study by scientists at the University of Exeter in the UK found that zebra finch couples with similar personalities make much better parents than those with different dispositions. Researchers found that birds expressing strong personality traits, such as aggressive behaviour or a willingness to explore, did a much better job of raising young if they had a like-minded partner. Where couples were markedly different in personality, chicks didn’t fare as well – being less well-fed and in poorer condition. The researchers aren’t able to give a definitive reason for the parenting benefits of matched personalities – but say it could be down to improved cooperation and coordination of effort. 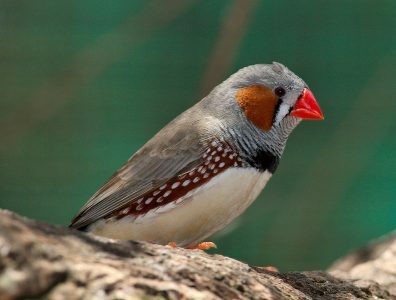 For the study, researchers focused in on the personalities of a group of zebra finches. They were able to establish that some showed consistent patterns of behaviour, normally either reflected in different levels of aggressiveness or willingness to explore. Often the traits were combined, but some finches didn’t demonstrate them at all. Then couples were artificially paired together – with a selection of couples who were like-minded and some who had no common traits. When mated, eggs were swapped between nests in order to distinguish the advantages of genetic, as opposed to the behavioural compatibility of parents. Experts then studied the animals while they were feeding their chicks, and monitored the progress of hatchlings to see which couples were doing the best job as parents.